NASA’s InSight spacecraft, en route to a 26 November landing on Mars, passed the halfway mark on 6 August. All of its instruments have been tested and are working well. As of 20 August, the spacecraft had covered 172 million miles (277 million kilometres) since its launch 107 days ago. In another 98 days, it will travel another 129 million miles (208 million kilometres) and touch down in Mars’ Elysium Planitia region, where it will be the first mission to study the Red Planet’s deep interior. InSight stands for Interior Exploration using Seismic Investigations, Geodesy and Heat Transport. 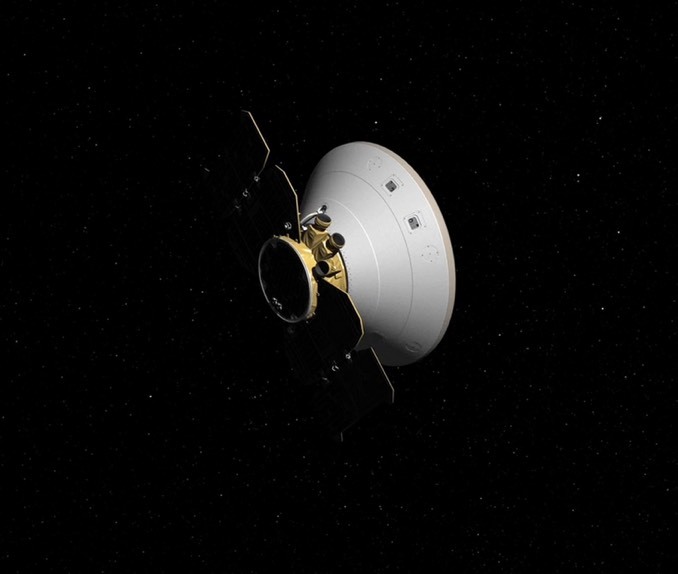 InSight’s seismometer, which will be used to detect quakes on Mars, received a clean bill of health on 19 July. The SEIS instrument (Seismic Experiment for Interior Structure) is a six-sensor seismometer combining two types of sensors to measure ground motions over a wide range of frequencies. It will give scientists a window into Mars’ internal activity. The team also checked an instrument that will measure the amount of heat escaping from Mars. 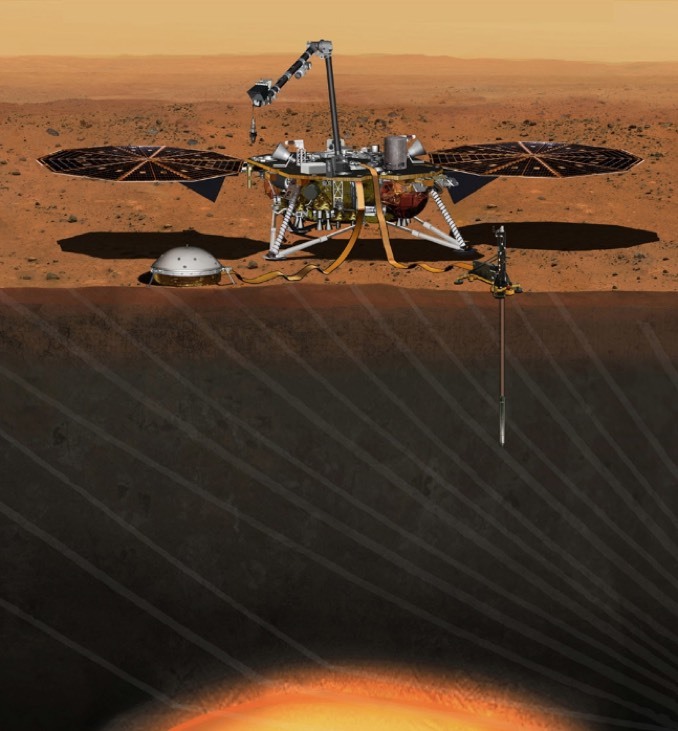 After being placed on the surface, InSight’s Heat Flow and Physical Properties Package (HP3) instrument will use a self-hammering mechanical mole burrowing to a depth of 10 to 16 feet (3 to 5 metres). Measurements by sensors on the mole and on a science tether from the mole to the surface will yield the first precise determination of the amount of heat escaping from the planet’s interior. The checkout consisted of powering on the main electronics for the instrument, performing checks of its instrument sensor elements, exercising some of the instrument’s internal heaters, and reading out the stored settings in the electronics module. 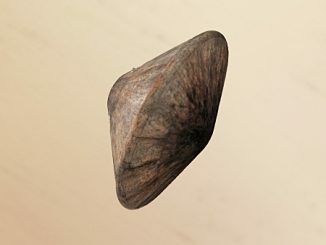 One second of faulty data led to the destruction of a European spacecraft on final descent to Mars in October. 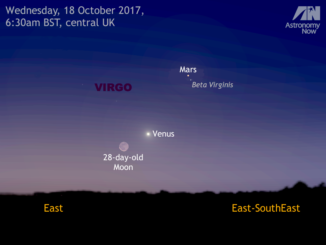 Observers in the British Isles and Western Europe should look low to the east about an hour before sunrise on Wednesday, 18 October to see the slim crescent of a very old Moon close to the brightest planet, Venus. Mars is also nearby for the keen-eyed among you, but don’t leave it too late or the growing twilight will drown out the Red Planet. 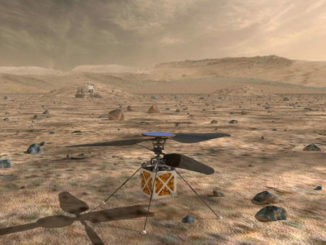 NASA is adding a small helicopter to the agency’s Mars 2020 rover that will become the first heavier-than-air vehicle to fly on another planet. The technology demonstrator features twin counter-rotating blades.